You know how sometimes you’re just hanging out at home, and you decide that you really need a snack? 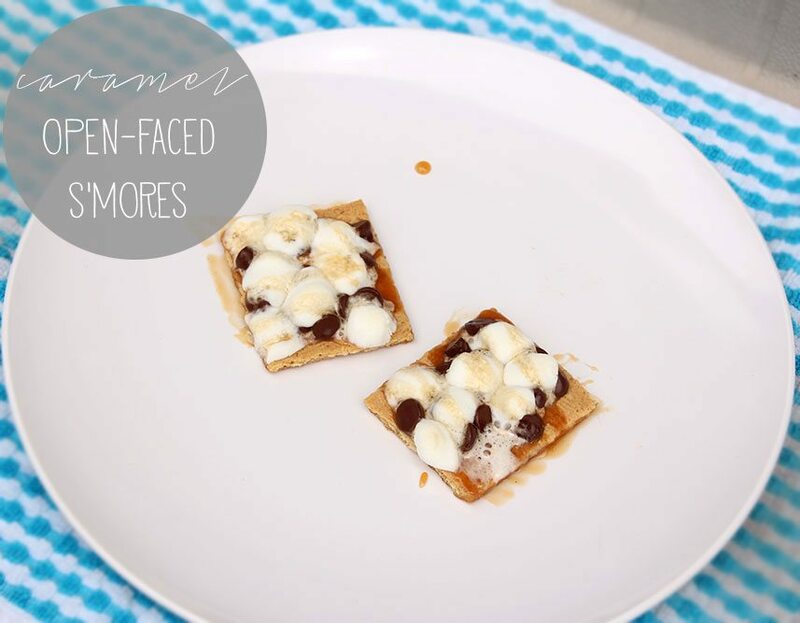 That occasion is exactly what these Caramel Open-Faced S’mores are for. The portion size listed below is for 1, but you can definitely multiply and make a bunch for a group (or yourself, I won’t tell!) if you want. Also, you can probably use any kind of graham cracker that you want, but I’m forever convinced that cinnamon is the very best kind of graham. 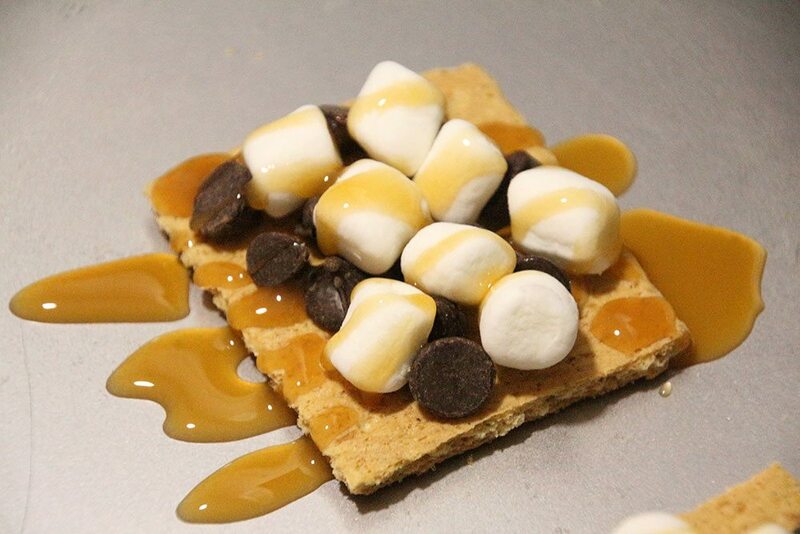 Break the graham cracker apart to make two squares and place on a baking sheet. 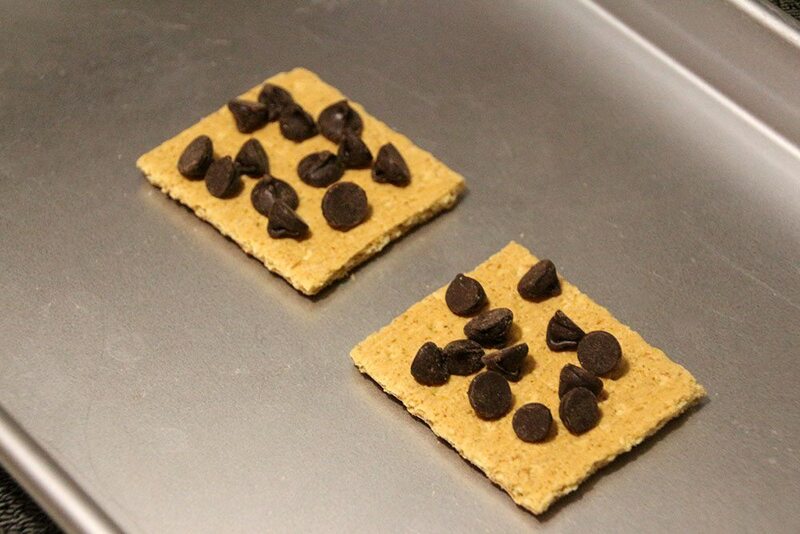 Divide the chocolate chips between the crackers. 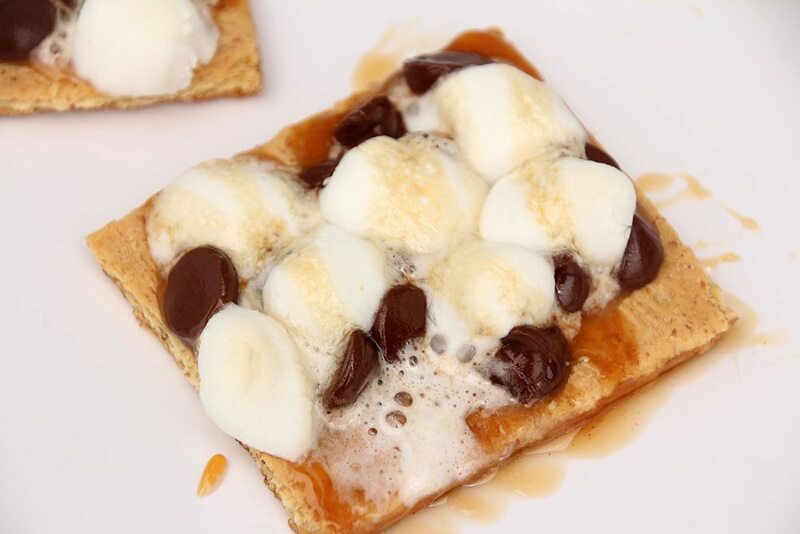 Divide the marshmallows between the crackers and drizzle each cracker with caramel syrup. 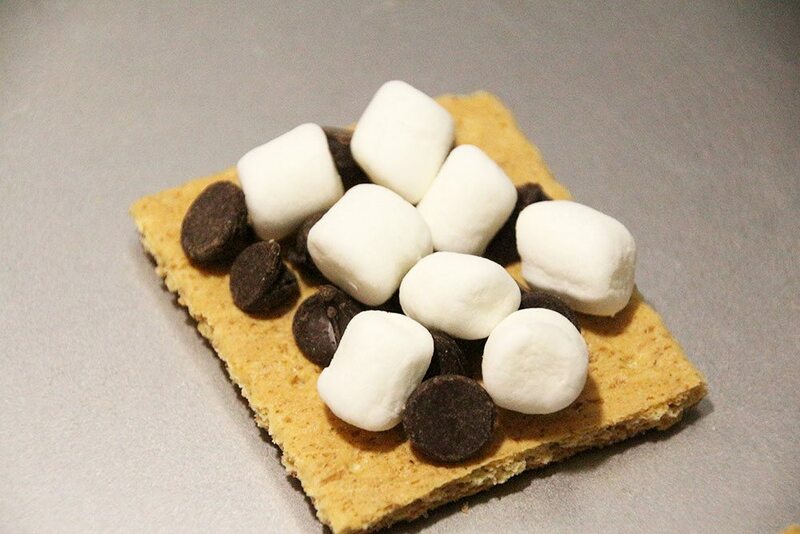 Bake at 350 for 4-6 minutes, or until the marshmallows have spread and the chocolate is just starting to melt. 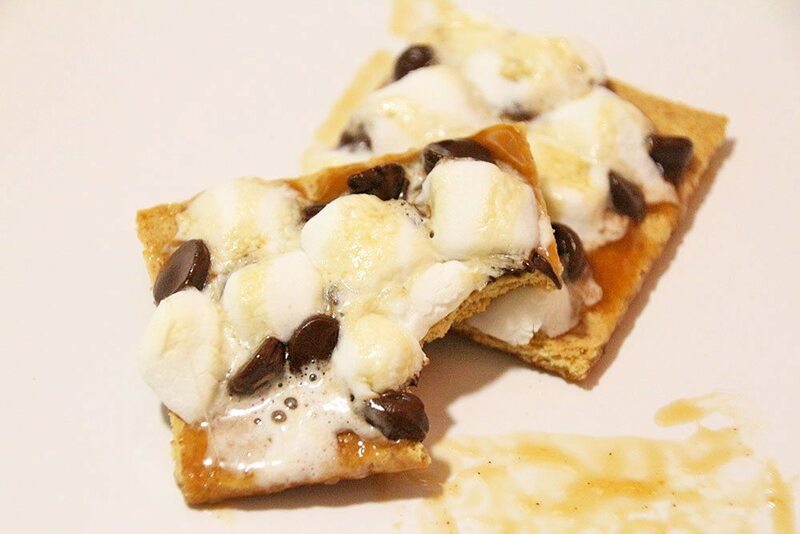 What’s your favorite snack to quickly throw together? 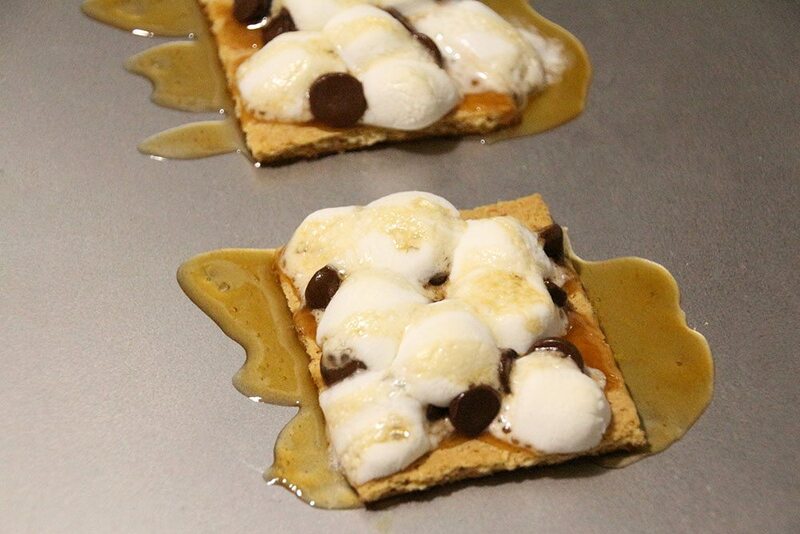 One of the gifts I got at my bridal shower was a Smores Cookbook…I love your variation of these. I will have to try them!!! I am waiting for the day that we can materialize whatever is on our screen instantly because…these look freaking delicious!!! Oh my goodness, two of my favorite things! And I think I may actually have everything to make these. What a delicious way to end the weekend!